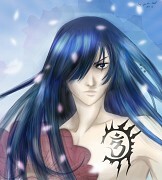 I think it was about time for me to make a D.Gray-Man drawing! I adore D.Gray-Man, it's one of my favorite manga (the first one that really conquered me), and Lavi is my favorite character! I love everything about him and this is a tribute to his perfection. Lately he's rarely shown in the manga, I'm impatiently waiting to read something about his story. Meanwhile I console myself coloring his beautiful face! 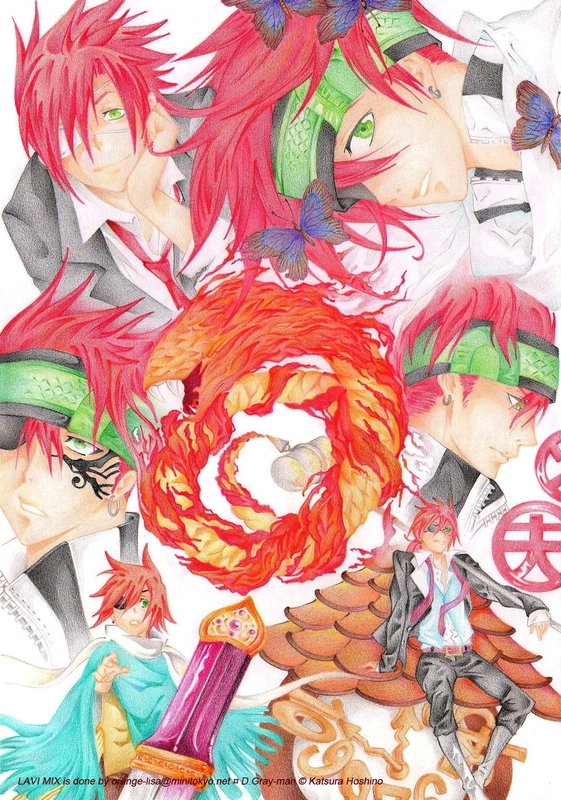 I spent a lot of time choosing the images to use, there are so many in which Lavi is so nice! I took these not only because I like them, but also 'cause I had to make them match in the right way. I hope to have fullfilled my purpose. I used scans from MT (1-2-3-4-5) and some pages from the manga (1-2). I spent 6 days to make the drawing and to color it. Hope you like it! One word for this piece : "Beautiful".